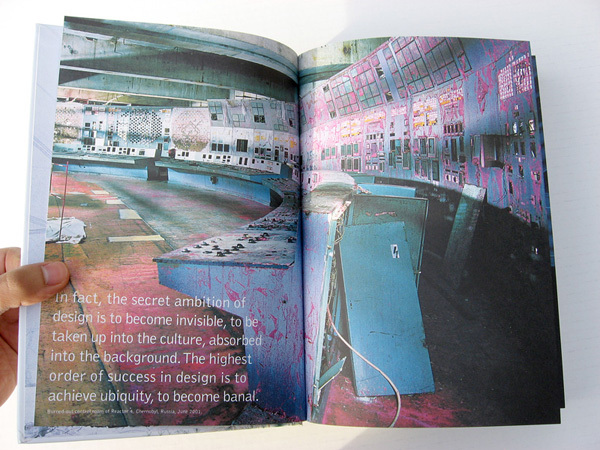 Brief: Create a public project about the future of design. 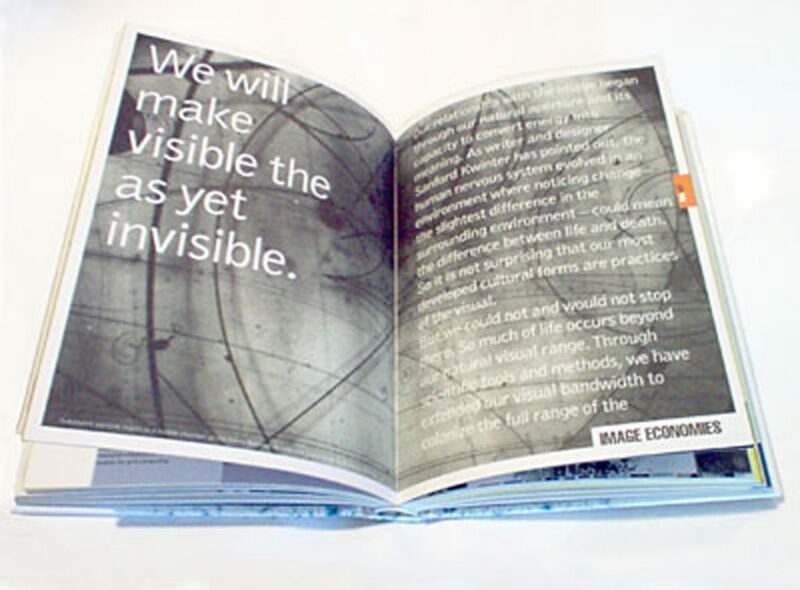 Background: When I joined the inaugural class of the Institute without Boundaries, a post-graduate design program in Toronto’s Bruce Mau Design studio, we were asked to develop a traveling exhibition, publication, website, and other products that present a new view of design. After the second year of the program, the school was moved to George Brown College. 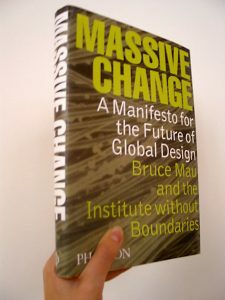 Based on Arnold Toynbee’s notion that we can think of ‘the welfare of the human race as a practical objective,’ Massive Change set up an optimistic vision for the design discipline, one that is not about the world of design, but the design of the world. 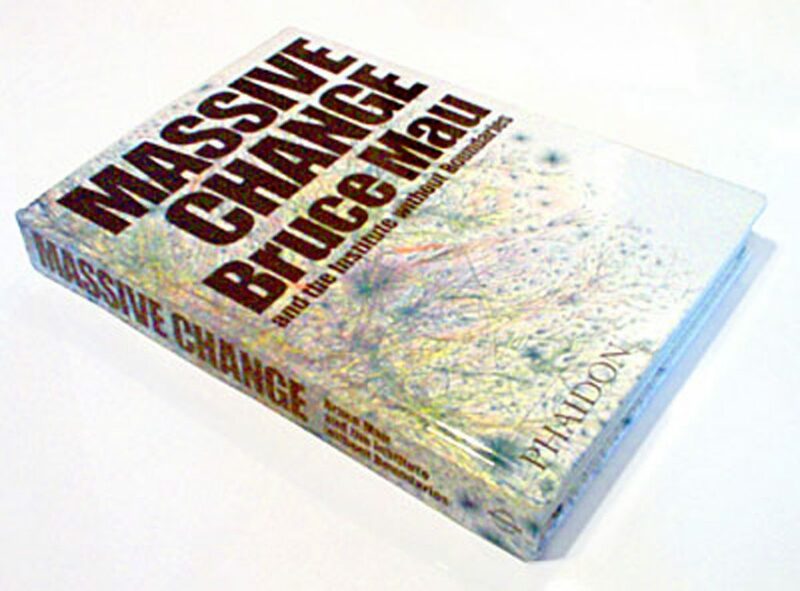 We explored this idea from the perspective of twelve topics, such as Urbanization, Materials, Energy, Living Systems, Information, Manufacturing, among others. Result: Although this project was developed by a team of around a dozen people, my role in this project was to contribute with research, writing, and design of the first drafts of the book, parts of the exhibition, the first website for the project, a movie, and poster series. I also co-organized a number of seminar series that informed the project’s thesis. An earlier book cover proposal. At this point, the typographic choice was finalized: Bell gothic and Helvetica Condensed. My topic of research was Energy, Health and Living systems. One of the highlights of this experience was interviewing Avigdor Cahaner, the designer of a featherless chicken in Israel. 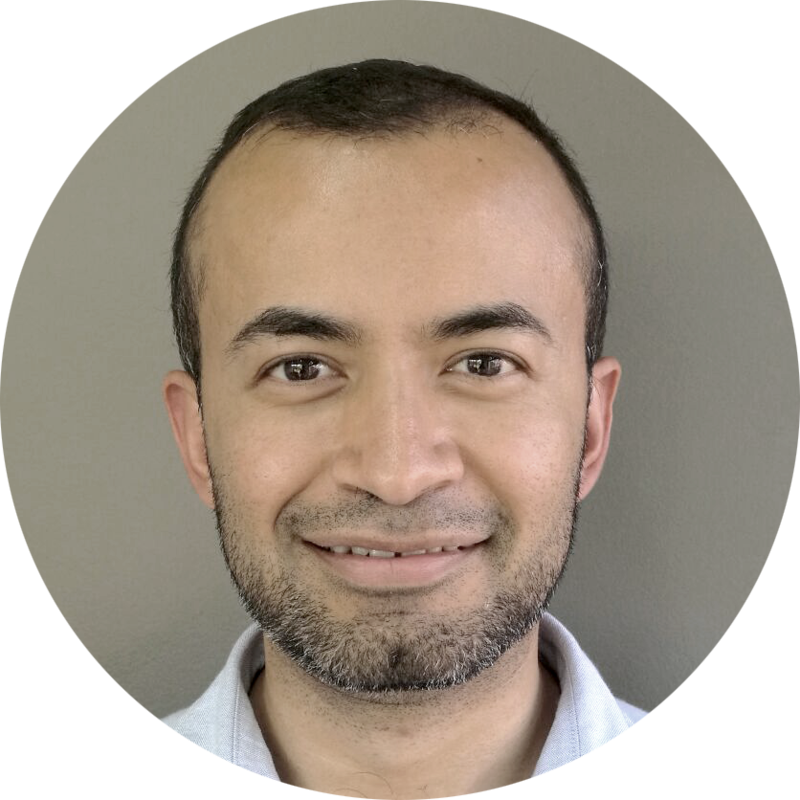 Overall, getting immersed in learning about ways in which various inventors, scientists, and entrepreneurs were designing new technologies, platforms, and services, was very rewarding. All these interviews and research, greatly influenced my view of design, not just as a tool for producing well-crafted goods, but also as an overall strategic skill that can add value to the table when working with other disciplines. 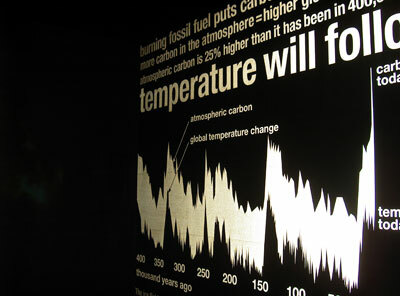 For the Energy section in the exhibition, a pitch-black room had some of the highlights of the research. 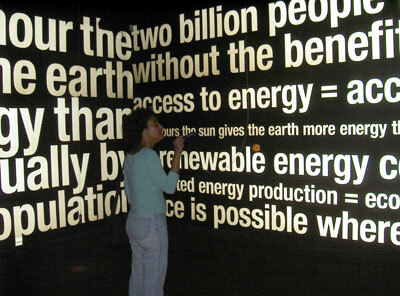 Visitors used a flash light to read the texts. The other section of the room was fully-lit and had some inventions related to renewable energy, and the challenges in providing energy sources in remote regions in Africa and Eastern Asia. 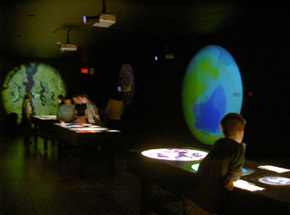 Some of the more visually-intriguing rooms were the Information room, showing earth simulators. 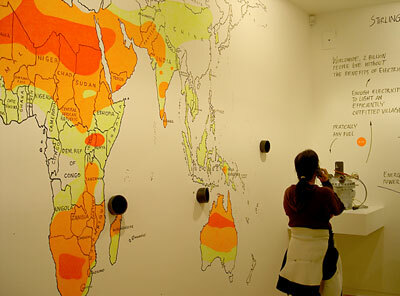 The orange-colored Wealth and Politics room contrasted global data (for instance, the budgetary amount spent on military globally, versus a much smaller amount of money that would be needed to educate every child on the planet). 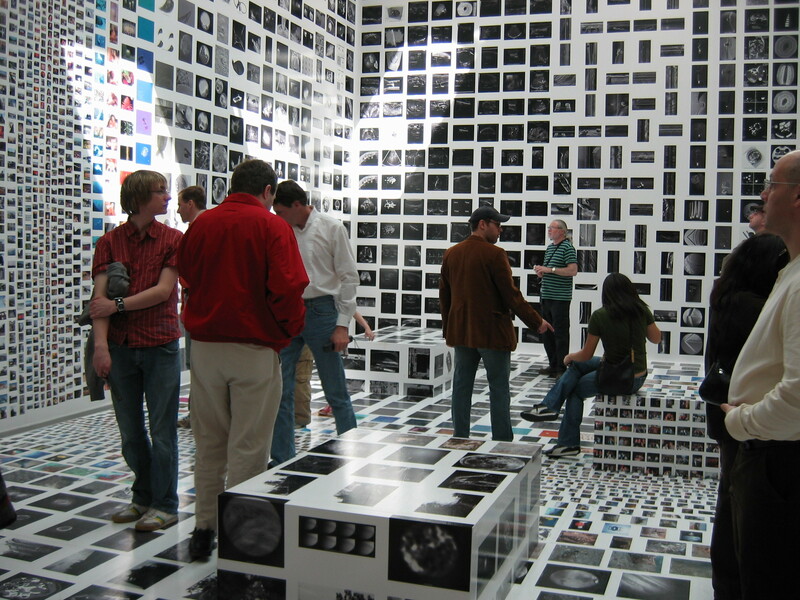 The Image room showed various photographs, ranging from nano-sized photography, to photography taken with different light spectrums, and telescopic imagery. 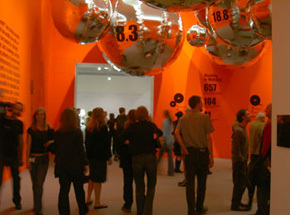 The exhibition was the Vancouver Art Gallery‘s highest attended exhibition, and was also shown at the Museum of Contemporary Art in Chicago and the Art Gallery of Ontario. 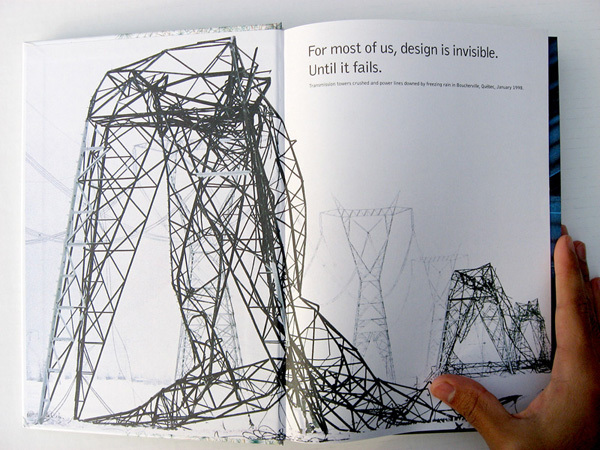 The book became one of the publisher‘s most popular books on contemporary design. 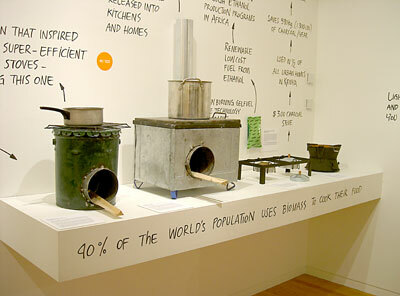 ← What if Greenland was Africa´s Water Fountain?